Al Fajer Trading L.L.C offers exciting career opportunities across the UAE and other GCC countries. Al Fajer Trading L.L.C Group of Companies has been in industry more than 40 years founded in 1973. Al Fajer Group based in Dubai, United Arab Emirates. Today Al Fajer Group operates in the UAE and GCC markets as well. The highly qualified, experienced and professional multi-national team players, with the thousands of employees. Its highly successful businesses are engaged in Building material, Security Solution, Electric golf carts, Decorative paint collections, Surveying products, Home Automation, Trading and Distribution Services. 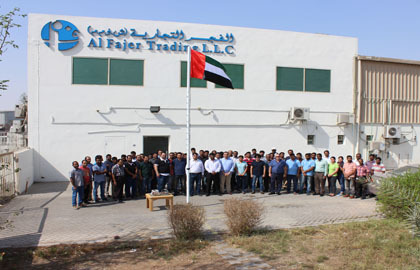 Al Fajer Trading L.L.C Having built an unparalleled infrastructure for storage, sales and distribution backed by prompt after sales service, Al Fajer Trading L.L.C, today is one of the most leading professional trading organization for quality and services in UAE.